Based on our exchange agreements, Kansai University receives international students from our partner universities in April and September every year. Kansai University students are also encouraged to study at our partner universities for either one semester or one year, and a scholarship from the Kansai University International Exchange Fund is available to them. The Division of International Affairs (DIA) at Kansai University provides a well-developed academic program in which exchange students can learn the Japanese language and various topics related to Japanese culture (“Japan Studies Courses”). In the Japanese Language Course, we offer 6 different levels of classes from beginners to advanced. In each level, the classes focus on developing both oral and literacy skills. In the Japan Studies Course, students study a wide range of subjects related to Japanese history, contemporary social systems, cultural arts, martial arts, the economy, philosophy, religion, and many more topics. 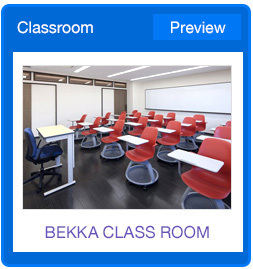 The Japan Studies classes are all taught in English. In addition to the academic curriculum, the DIA organizes various extra-curricular activities, providing students with opportunities to meet with Japanese students at Kansai University and explore aspects of Japan outside campus life. In the past, we have held events such as an introduction to Japanese sweets, a trip to the Panasonic factory in Hikone, a two-day trip to Asuka in Nara, and a one-day Kyogen (Japanese theater) seminar. Kansai University offers Japanese language courses and Japanese studies courses. Japanese studies courses are offered in English. These courses are basically for undergraduate students, but graduate students are welcome to take some courses in addition to pursuing their research. All exchange students at Kansai University are invited to participate in this monthly event which gives them valuable exposure to many facets of Japanese culture not easily accessible in the classroom setting. Foreign applicants who wish to study at KU must either have completed, or will complete by the time they enter the university, 12-years of school education in their home country, or be recognized as having an equivalent educational background by KU’s Faculty Council. In principle, prospective students must be at least 18 years of age, and have either graduated or will graduate from high school by the time of entry. An International Exchange Fund was established in commemoration of the university’s centennial anniversary. A monthly allowance is awarded to a certain number of international students each year. In addition, there are other scholarships offered from the Japanese government, local governments, and private organizations. * Please note that the above estimate applies only if you choose one of the three dormitories. ** Personal expenses differ depending on your preferences and lifestyle. *** We strongly suggest that you consider the above figures as minimum amount required.